Harney County Criminal Defense Lawyer | Donahue Law Firm, LLC. The Donahue Law Firm aggressively defends everyday people from criminal allegations and DUII charges in Burns, Oregon, surrounding areas, and throughout Harney County. While the Firm’s primary office is located in Bend, Oregon, the Donahue Law Firm criminal defense attorneys, Bryan M. Donahue and J. Clark Fry are practicing Harney County Criminal defense lawyers. They regularly defend criminal cases in Burns, Oregon. As a team, the Firm has successfully defended and won various criminal charges and criminal cases against the Harney County District attorneys office, both pre-trial, and at trial. From reductions in charges and punishments, to complete dismissals and Not Guilty verdicts with Harney County juries and Judge Cramer, the criminal defense attorneys at the Donahue Law Firm know how to achieve the best results possible for your case in Harney County. 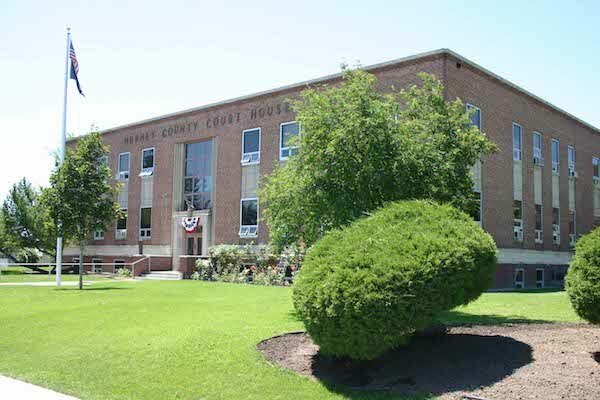 While the Harney County Courthouse is located in Burns, Oregon, the Firm aggressively defends criminal cases arising anywhere in Harney County. Whether criminal allegations arise in the City of Burns, neighboring Hines, Crane, Princeton, or the beautiful Steens Mountains, we’ve got you covered. In fact, the Donahue Law firm has handled cases involving nearly every law enforcement agency in Harney County including Burns Police Department, Hines Police Department, Harney County Sheriffs Office, and the Oregon State Police. Each law enforcement agency is not created equal and many of the policies each agency uses are different. This means they approach cases in different ways and methods. Knowing the different ways law enforcing agencies approach cases can mean the difference between winning and losing, your case. With Top National Legal Recognition and Awards in the fields of Criminal Defense and DUI/DUII, the Donahue Law Firm is Your experienced, aggressive, and respected criminal defense team. From our seasoned attorneys, to our skilled and diligent paralegals, we are here for you. To learn more about hiring the Donahue Law Firm as your Harney County Criminal Defense lawyers, and the benefits of hiring the Firm, please see our main criminal defense page.